[0:02] <HrdwrBoB> davr0s: to what end? [0:07] <HrdwrBoB> make it a network, use samba. [0:08] <red9> Add a real CPU like ARM Cortex-M or Attiny with deep sleep mode that works. Then put various Pi's outdoors for measure & phone-home. [0:11] <leftyfb> sync in cron? [0:12] <davr0s> that would enable using a bunch of pi-0 non-W's for each camera. [0:17] <red9> Is there any statistics on which Pi that has the largest userbase? [0:18] <davr0s> i guess the least I can do is just leave these Pi's setup with spare monitors around my desk and just use Synergy. [0:31] <red9> Voop, How many users have access to a particular Pi model. [0:32] <red9> Voop, How many users have access to a particular Pi model.UBtw, if a Pi setup in OTG mode. Can one use some USB ports as normal? [0:32] <red9> Btw, if a Pi setup in OTG mode. Can one use some USB ports as normal? [0:34] <red9> Ah.. probably something doing with that the Pi only have one REAL USB port. The rest is a hub. [0:44] <red9> It seems it uses a base clock of 19.2 MHz and then divides that. A divider with 200 gives 48 kHz. Which will give 1/200 steps of pulse ratio. Now Broadcam uses a "balanced" PWM for the audio it seems. But the general impression is that the scheme is a serious compromise. [0:56] <red9> Sold is the derative. But what would matter if say you wanted to design a model specific extension is the integrated sles volume. [1:57] <darsie> red9: http://www.bksys.at/bernhard/temp/pi.wav That's similar to what it sounds. 10 s no output is clean, 10 s low volume with noise, 10 s full volume seems ok, 10 s muted with constant noise. The clicks seem to be reconding errors. [2:16] <BrewTangClan> I just have to say that ribbon cables are the freaking worst. [2:28] <BrewTangClan> Using the canakit 5v/2.5a USB and the microUSB splitter that came with the smartipi case. [2:30] <BrewTangClan> am I wrong to think that I should at least see signs of life from the display (backlight?) if it's powered, if the pi doesn't know to talk to the display (DSI enabled, etc.)? [2:40] <darsie> red9: Did you listen to my recording? [2:41] <BrewTangClan> Anybody know if there's a relatively easy way to get PHP5 on stretch? [2:41] <BrewTangClan> And/or if jesse has updates for the 3B+? [2:50] <BrewTangClan> I'll try another SD card..
[2:57] <Ellied> Anyone know what the header labeled "PEN" right next to "RUN" is for? [3:03] <ShapeShifter499> does anyone have any ideas? [3:06] <ShapeShifter499> leftyfb: was that suppose to trigger a bot to give a link? [3:21] <shauno> what have you done to update jessie for the 3b+ ? [3:36] <shauno> I don't know if the changes required are in jessie though. they all seem to be referencing stretch. so I can't promise "simple problem" means "simple solution"
[3:42] <ShapeShifter499> if I set a static IP on the pi side, can I bridge the connection still in order to get the pi online? [3:47] <wreo> is this the right place to ask Raspian-related questions? [3:48] <ShapeShifter499> leftyfb: any other ideas? [4:02] <ShorTie> what do you want to know ?? [4:12] <darsie> Can you make the pi output an audible frequency on the GPIO without bitbanging to drive a piezo speaker? I read you shouldn't drive capacitive loads. Does that apply to piezo speakers? [4:14] <darsie> IIRC they can do PWM. [4:14] <darsie> 50% PWM at audible frequency? [4:15] <darsie> 1 kHz or so? [4:16] <darsie> thx! looks interesting. [4:36] <purplex88> how do i show camera in rasp pi? [4:42] <leftyfb> purplex88: third result on google for "raspberry pi camera viewer"
[4:49] <leftyfb> purplex88: do you have a pi camera? [4:50] <Rblunderbuss> hey, can anyone walk me through what it takes to run a model 3b install on a 3b+? [4:51] <Rblunderbuss> can I just run rpi-update? [4:54] <leftyfb> purplex88: one of those? [5:01] <purplex88> i ran "sudo apt-get install python-picamera python3-picamera"
[6:30] <extor> Are there any sensors that can detect traces of cannabis in the air? [7:41] * shbrngdo invents "beaglenose"
[9:17] <alkisg> Hi, I started installing 5-6 different OSes in an external USB disk using NOOBS, but I hit a few issues and limitations, so now I'm trying to manually edit its configuration. [9:17] <alkisg> A question, does the /boot partition of each OS need to be in the SD card, or can it be in the USB disk? I couldn't manage to put it in the usb disk. [9:22] <Wizard> alkisg: I did it on Pi3 once. You need to enable some special flag in order to boot from USB, but it worked nicely. [9:23] <alkisg> dumhed: thanks, which distro/version/kernel please? [9:26] <StCyr> does anyone know if omxplayer support RTCP? [9:27] <alkisg> dumhed: is this raspbian 9 with the default kernel? [9:35] <dumhed> as far as that, im pretty sure thats just a rpi2 limitation. [9:36] <alkisg> I mean, how does noobs really works? It loads its own kernel, shows a GUI, and when the user selects raspbian... does noobs itself load the kernel of raspbian, so it can use USB, or does it give control back to the firmware, so only SD can be used? [9:43] <alkisg> ShorTie: you mean /boot only, right? While / can be in USB? [9:44] <alkisg> Thank you guys... another issue I bumped into with raspbian 9, was that it wouldn't mount /=sda1 from usb... it's not missing any modules, is it? Or will I need an initramfs there? [9:56] <poolson> should there at least be a backlight ? [9:57] <ShorTie> mount /=sda1 ?? [10:19] <alkisg> Btw, anyone knows how noobs locates its settings partition? By LABEL, block dev name (mmcblk0p5)... ? [10:22] <alkisg> ShorTie: but when I select "raspbian" from noobs, does that load raspbian's kernel? [10:24] <alkisg> Where can I find the source code for the binary /usr/bin/recovery? [12:43] <alkisg> I think the problem with raspbian not supporting usb boot, is in its firmware version. I tried with ubuntu's kernel and it wouldn't access usb disks (but it would access usb keyboard/mouse). Then I replaced the firmware as well, and now raspbian boots fine with ubuntu's kernel/firmware. [13:42] <reichnicht_> hey everyone, I have a noob question. just bought my first raspberry pi 3b+. Would I be able to setup a media server with next cloud as well as a pi-hole and even maybe make it an AP where I would configure my vpn provider? [13:50] <clickboom> reichnicht_: might have problems doing them simultaneously, but sounds doable. [13:52] <clickboom> i have a pi 3. for me the issue with nextcloud was disk throughput, but i suppose it depends on your needs. [13:59] <clickboom> you should be fine then. i was just trying to sync huge isos. [14:00] <clickboom> sounds like you have some fun projects lined up. [15:08] <darsie> red9: Did you listen to my recording? [16:47] <inc0gn1t0> Does the pi3 b+ support 4k? [16:54] <inc0gn1t0> I was hoping since they boosted it to 1.4ghz, and updated the WiFi to 5, that maybe they updated that too. Wishful hoping..
[16:55] <Ellied> does anyone know what the pin labeled "PEN" (next to "RUN") does? I'm finding it hard to google for because google insists on either just leaving it out of the search results or "correcting" it to "pin"
[16:56] <shiftplusone> depends on what you mean. Support doing what with 4k? It can output it... Or are you asking whether it can decode 4k video in realtime. [16:57] <shiftplusone> Ellied: You can use it to cut power to the pi completly, drawing a few mA, IIRC. [16:57] <inc0gn1t0> So I could watch 4k movies? [16:57] <Ellied> ah, so it's "Power ENable"
[16:58] <shiftplusone> inc0gn1t0: no, I don't think you can. [16:59] <inc0gn1t0> shiftplusone: what do you mean by it can output 4k then? [17:00] <shiftplusone> doesn't mean you can decode and push pixels out fast enough to do more than basic desktop stuff. [17:02] <r3> and then the police just sort of seemed to shrug their shoulders and give up. "Whelp, that's too hard"
[17:02] <methuzla> shiftplusone, how? on the 4k output? [17:02] <Ellied> 4k video is a kind of insane amount of data. If I'm honest, I'm still not done being impressed that common desktop and laptop machines these days can manage it. 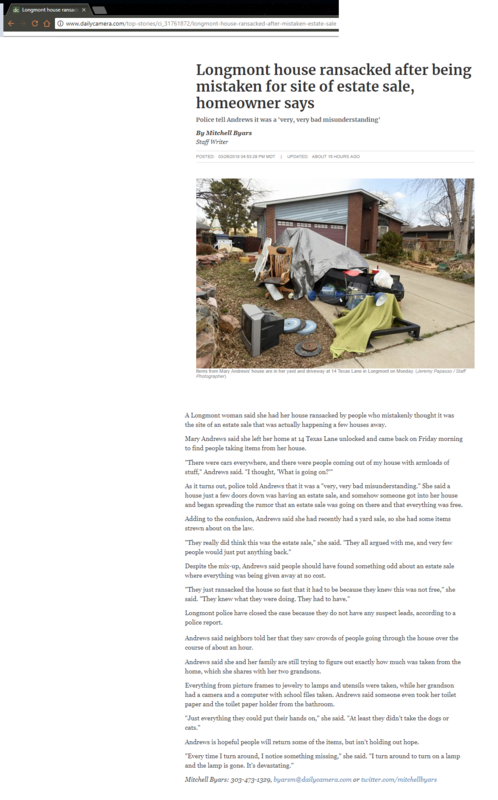 [17:03] <r3> inc0gn1t0: heh, it was in reference to this: https://i.imgur.com/INiIp7p.png (I put it in imgur because the local paper sites are cancer) ... the story just struck me as totally odd and doesn't say much for my faith in humanity... why didn't her neighbors do something? [17:07] <shiftplusone> Wasn't being serious, people can tell the difference between 30FPS, 60FPS and 120FPS if they're used to it. It's just a silly thing people say when justifying low framerates in videos and games. [17:08] <Ellied> extor: the Zero uses mini HDMI; the full-size boards use regular-size HDMI. no RPi I'm aware of uses micro. [17:08] <extor> Ellied, so micro is used by what, smartphones? [17:09] <extor> Is micro smaller than mini? [17:09] <extor> Is micro being phased out then or just not yet well adopted? [17:10] <shiftplusone> probably not much of a use case yet and might be skipped in favour of ....what Ellied just said. [17:11] <extor> I think there's a distro for that? [17:13] <Ellied> I'm not aware of any versions of Android which are Raspbian underneath. I think you'd just be running stock Android compiled for the BCM, AFAIK. [17:14] <extor> It's just that androidOS has no /etc/passwd or built in ssh or even telnet. I feel so not at home. [17:20] <shiftplusone> A KDE thing? Lightweight? [17:21] <Wizard> Ellied: I used to use dwm, then i3, recently I switched to bspwm. I like it more. [17:21] <Wizard> Ellied: But it's so basic, that you have to do everything around it manually. [17:22] <shiftplusone> methuzla: way outside my area of expertise. [17:24] <methuzla> shiftplusone, np. just trying to update my understanding. first i've seen this. [17:24] <Ellied> Wizard: shrug, I live in the command line already anyway. [17:25] <Ellied> did they just repurpose the DSI/CSI bus somehow? [17:29] <shiftplusone> They'd probably need an ASIC or an FPGA to use DSI/CSI. Or access to internal documentation. In either case, it would be a pain. [17:32] <shiftplusone> I don't get how they're using the coprocessor and pcie, but again, that's not anything I'd know about. [17:36] <BCMM> Ellied: where does it say they've added a PCIe controller? [19:08] <yang> Is 32GB SDHC the upper limit for the SD card in RPI 3B+ or does it also accept larger capacity SDXC cards ? [19:37] <Habbie> shiftplusone, other than the limits imposed by SDHC? [20:09] <kevr> how do i make it so that i can initialize fully in one command? [20:13] <shiftplusone> kevr: have you seen the script from Phil which resets the chip? [20:13] <shiftplusone> Perhaps, resetting the chip and then sending the firmware may be more reliable. [20:15] <kevr> shiftplusone: do you have a link? [20:18] <shiftplusone> portable in what way? [20:25] <red9> Doesn't wiringPi provide a "numbering patch" to mitigate this issue? [20:28] <shiftplusone> If he's not baking away. [20:32] <shiftplusone> Don't know if it's worthwhile spending a lot of time on this. I've seen talk upstream of making the kernel handle all of this anyway. [20:37] <shiftplusone> wish I could talk about the stuff being worked on, but the only public information about it is that it's exciting. [20:39] <Voop> you work for the foundation? [20:40] <kevr> the linux foundation has NDA? [20:45] <shiftplusone> Still, lots of people say that the 3B+ should've been skipped in favour of a pi with 4GB RAM, USB3 and everything else people would really like to see. [20:47] * caoliver would really like to see on-chip RT processors as on the Sitara chips. [20:49] <shiftplusone> same, I use pis for all kinds of things people insist they're not suitable for. [20:50] <caoliver> I'd also like to see a NuttX/ChibiOS port for RasPis. [20:50] <caoliver> Real time control. [20:50] <shiftplusone> NAS is the main one that people have always said it's not suitable for, but it does the job as far as I'm concerned. [20:51] <caoliver> NAS is actually not a bad thing except for disk to Pi bandwidth. [20:51] <shiftplusone> caoliver: that's an application where you'd hook up an attiny or something similar to handle the time-sensitive tasks. We do that with our own products like the display, sense hat and others. [20:52] <caoliver> Yes. I'd prefer on board real time controllers as on the TI chips though. [20:53] <kevr> IoT is really fun. [20:53] * caoliver is doing embedded drone stuff. [20:54] <caoliver> I'm happily not the autopilot though I get GPS data from there. [20:55] * caoliver is drooling over the AM572x block diagram. [20:57] <caoliver> OK. A while back I had to use a USB reset script that on occasion would wedge things hard. [20:57] <shiftplusone> kevr: is this for a custom distro or something? [20:57] <shiftplusone> not systemd based? [20:58] <kevr> however, are you referring to the systemd setting that ive seen around for taking care of this initialization? [20:58] <kevr> perhaps i'll look into what they're doing. [20:58] <shiftplusone> on raspbian we ship a service which runs it and that seems to work fine the first time. [20:59] <kevr> runs the chip reset script? [21:00] <shiftplusone> We don't reset the chip when running hciuart, no. [21:07] <caoliver> Hmm... maybe hang a pocket beagle on the outside instead. [21:12] <caoliver> Not really. Does the Broadcom have the PRUs? [21:12] <caoliver> Main think would be good high BW comms between RasPi and the other. [21:13] <caoliver> Probably some SPI hack would work. [22:04] <Tenkawa> are you trying to netboot? [22:04] <Kryczek> ah that's more like it "systemd: Timed out waiting for device dev-disk-by\x2dpartuuid-..."
[22:05] <shiftplusone> what's the output of 'sudo blkid' and content of /etc/fstab? [22:08] <shiftplusone> Is it only / and /boot in fstab? [22:08] <shiftplusone> Also all of 'sudo journalctl' would be useful. [22:14] <Kryczek> with `journalctl -xb` or? [22:17] <Tenkawa> do you have network mounted drives? [22:19] <Kryczek> systemd-fsck: now = Thu Nov 3 17:16:44 2016) is in the future. [22:21] <Kryczek> any idea where else the 2016 date could have come from? [22:36] <Wizard> Can someon hilight me?